A multimeter is a precision instrument used to measure AC or DC voltage, the resistance of electrical devices and the amount of current flowing in a circuit. 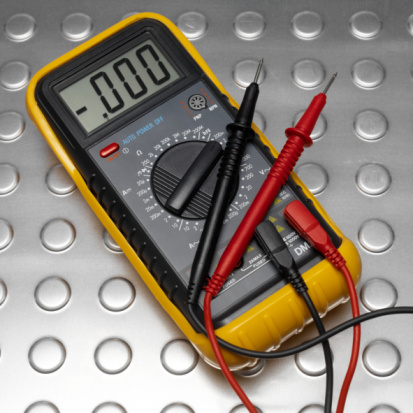 The multimeter is a valuable tool for electricians and anyone working with electricity or electrical components. The Sperry DM 210A is a simple and affordable digital multimeter that is lightweight and easy to carry. The Sperry meter can also test household batteries or show the electrical status of an outlet or appliance. Anyone with a basic knowledge of electricity can use the Sperry DM 210A multimeter. Use of the Sperry DM 210A multimeter requires a basic knowledge of electricity. Insert the black test lead into the COM jack and the red test lead into the V-ohm jack. Set the range selector switch on the meter to 600 DCV to measure DC voltage or to 600 ACV for AC voltage. 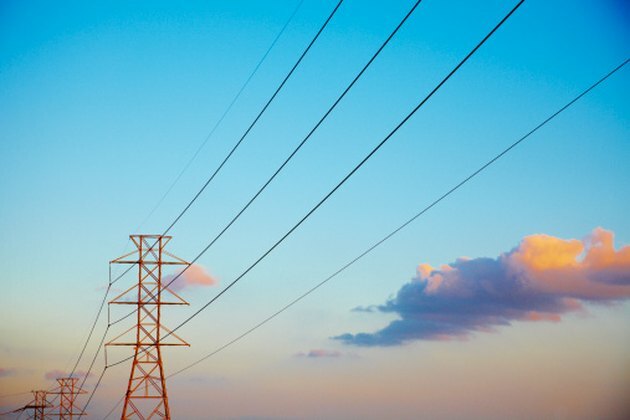 Always start with the highest range of voltage. Touch the black test lead to ground and the red lead to a point on the circuit. The voltage will appear on the LCD of the meter. Turn the range selector switch to the next lower range for a more accurate reading if necessary. Remove the test leads from the circuit under test, then remove the test leads from the meter. Turn the meter off when it is not in use. Insert the black lead into the COM jack and the red lead into the mA jack. Set the range selector switch on the meter to 200 mA. Always start with the highest range of current. De-energize the circuit that you are measuring. Connect the test probes in series with the device carrying the current. Energize the circuit. The current will appear on the LCD of the meter. If the reading is within the next lower range, completely de-energize the circuit under test before turning the range selector switch to the next lower range. De-energize the circuit before removing the test leads. Turn the meter off when it is not in use. Set the range selector switch on the meter to the Ohm range for the expected resistance. Set the range selector switch on the meter to either 1.5 V or 9 V, depending on the battery. Connect the test leads to the terminals (red to positive, black to negative) of the battery. A good 1.5 Vdc battery will read above 80.0 mA. A good 9 Vdc battery will read above 22.0 mA. Remove the test leads from the battery, then remove the test leads from the meter. Turn the meter off when it is not in use.